Brighton host Southampton in the south coast derby on Sunday afternoon, with both teams high on confidence after winning their last Premier League match. 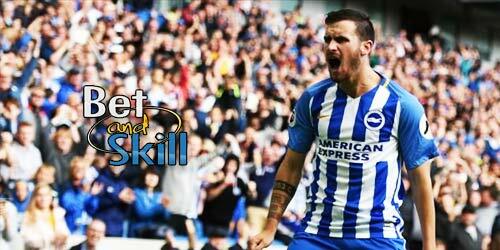 This article contains our Brighton vs Southampton betting preview with predictions, betting tips, probable lineups, team news, best odds, exclusive promotions and no deposit free bets! Brighton were thoroughly impressive when beating West Ham 3-0 at the London Stadium last time out, courtesy of a brace scored by veteran striker Glenn Murray. That result lifted the Seagulls into a reasonably comfortable mid-table position. Prior to that, they managed to win only 1 point from the previous four road trips. 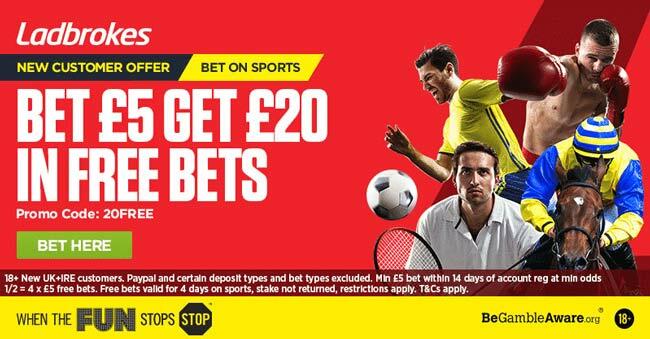 At home, they are unbeaten in the last three league matches having won against West Brom and Newcstle last month and drawn 1-1 With Everton a fortnight ago. Glenn Murray is expected to lead the line again for Hughton's side with Pascal Gross stationed in the central support role. Tomer Hemed is available again after suspension but may have to settle for a place on the bench. Anthony Knockaert, Davy Propper, Dale Stephens and Jose Izquierdo are the favourites to start across midfield. Similarly, the back four of Bruno, Lewis Dunk, Shane Duffy and Gaeten Bong could stay unchanged. Steve Sidwell remains sidelined but Beram Kayal and Sam Baldock could return to the squad following returns from long-term injuries. Southampton have had a stuttering start to the season, but they moved back above Brighton in the Premier League standings with a hard-fought 1-0 win against West Brom at St Mary's last weekend. The Saints already met the other two promoted teams this season and failed to win maximum points from those. They have scored more than a solitary goal in just one of their last eight matches, but they have been rock solid at the back - only Manchester City and Swansea had conceded fewer away goals than Southampton in the Premier League this term. Coach Mauricio Pellegrino will be without Mario Lemina after he suffered an ankle injury in training. The former Juventus mdifielder will be replaced by Steven Davis in the middle of the park. Sofiane Boufal is not guaranteed a starting berth even after coming off the bench to net the late winner against WBA, while Shane Long and Dusan Tadic are sure starters in the attacking midfield trio behind lone striker Manolo Gabbiadini. The back four of Cedric Soares, Maya Yoshida, Virgil van Dijk and Ryan Bertrand is expected to remain unchanged. "Brighton vs Southampton betting tips, predictions, lineups, odds and free bets (Premier League - 29.10.2017)"